Hours: July 3 – 4:30 p.m.; fireworks – 9:30 p.m. If you want a 4th of July celebration that has a small town vibe, look no further than Norcross, located about 20 minutes north of downtown Atlanta. The nicest thing about this small-town celebration is that it takes place every year the day before the 4th of July. That means the crowds aren’t as crazy as those at some of the downtown fireworks shows. For families arriving early, enjoy inflatables, face painting, train rides and games for kids. Live concerts kick off at 4:30 p.m. Sparks begin to fly around 9:30 p.m. when the first firework is set off in the Norcross sky. They can be viewed from anywhere in downtown Norcross, but Lillian Webb Park is a good choice to set up camp. If you’d like to avoid huge crowds, then this small town celebration may be just your ticket to old-fashioned 4th of July fun. This event is full of fun for the entire family and includes one of the best fireworks shows around. There will be live music, food and activities for the family. 5:00 Food Vendors Open - enjoy Mad Italian, Chamos Grill, Chick-Fil-A, Frosty Caboose or something from the Parks & Recreation grill! 5:00-7:30 - Kid activities including train rides, bouncy houses, and more! 5:30 Corn Hole Tournament - Register online for your 2-person team to compete to win a V.I.P. table at the next Chamblee concert of your choice. This is a FREE tournament! This event rings in its 56th year with a bevy of blasts. Expect more than 4,000 shells to explode in the sky. Before the fireworks show, guests can peruse the mall and come outdoors to nosh on concessions. Gump Fiction, a Charlotte-based quintet, will play the greatest hits of the 1990s starting at 6 p.m. Party on the Moon, a massive show band specializing in high-energy danceable tunes, will perform at 7:45 p.m. Look up for the fireworks around 9:40 p.m. Mall hours: 10 a.m.-6 p.m. (Select restaurants will remain open after 6 p.m.) Legendary Fourth of July: 6 p.m. July 4. Free. Lenox Square, 3393 Peachtree Road. N.E., Atlanta. 404-233-6767, simon.com/mall/lenox-square. Centennial Olympic Park's 4th of July Celebration will offer fun and entertainment for the entire family, including free music and Atlanta's number one fireworks display. The concert will kick off the Fantastic Fourth Celebration on July 2nd. Experience the Lasershow Spectacular in Mountainvision The special patriotic fireworks finale will immediately follow the Lasershow all four nights. 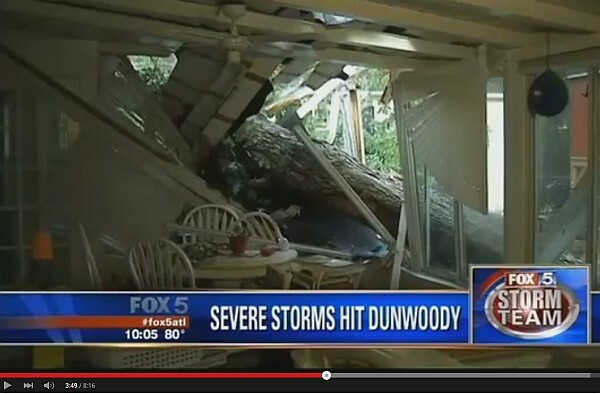 Time: 10:30 a.m. - 8:00 p.m. Laser show and fireworks 9:30 p.m.
Intense storm wreaks havoc on East side of Dunwoody. 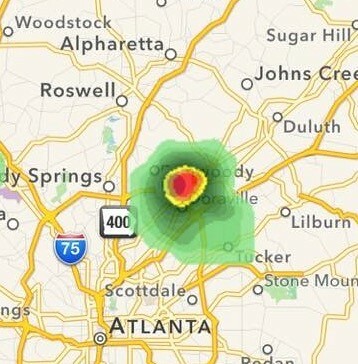 South East corner of Dunwoody was slammed with isolated intense storm. Trees fell, streets were blocked, houses were damaged, power lines were down and luckily to the best of my knowledge no one was hurt. Neighbors helped neighbors, emergency crews focused first on people and then on roads, a special thanks to everyone involved who assisted. Special thanks to Georgia Power, DeKalb Fire Rescue, Dunwoody Police and the numerous tree care specialist and insurance adjustors who swooped in quickly to assist this community. The City of Dunwoody & radio station B98.5 FM together with Arrow Exterminators and Shumate Air Conditioning & Heating proudly present “B at the Movies” at Brook Run Park. Grab a blanket, some chairs, family and friends and join us for an evening of family fun! Festivities begin at 6 p.m. and the movie begins at sunset. The evening features HOME (PG), a Dreamworks animated feature. 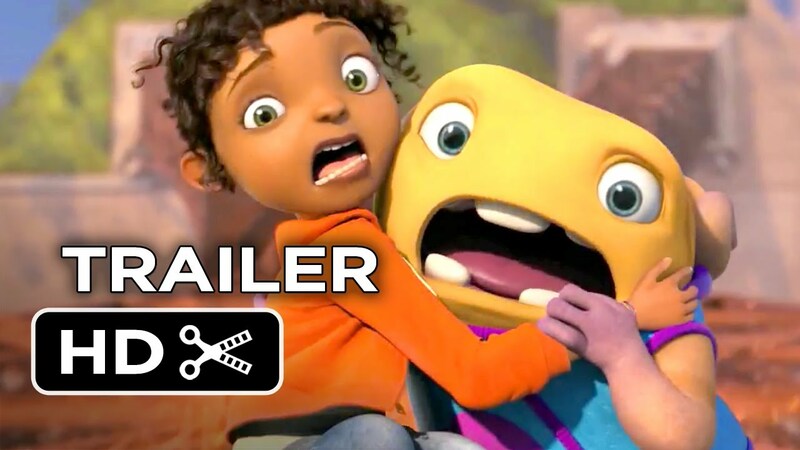 When Oh, a loveable misfit from another planet, lands on Earth and finds himself on the run from his own people, he forms an unlikely friendship with an adventurous girl named Tip who is on a quest of her own. Through a series of comic adventures with Tip, Oh comes to understand that being different and making mistakes is all part of being human. And while he changes her planet and she changes his world, they discover the true meaning of the word HOME. Look for us on the play lawn located near the park's main entrance, next to the playground. We look forward to seeing you there! 1. Town Hall Meeting … Your District One Council Members, Terry Nall and myself, will hold our annual Town Hall Citizens meeting tomorrow night, Thursday, from 7 to 9 PM and the beautiful Dunwoody Nature Center. This is not only for District One citizens but for all the citizens of our city … everyone is invited and everyone is welcome! Posters of projects will be on display for your viewing and input. We will both give a short presentation and then we will open it up to questions and answers in an open forum format. If we don’t know the answer to your question we will get you the answer. 2. Sanitation Pick-Up … DeKalb County will start the “Once a Week” sanitation pick-up on Monday, July 6th. This means that everyone in DC will be on a “Once a Week” pick up schedule starting July 6th. You should have been notified of which day of the week is your pick-up but the general rule is it will be on the same day as your recycle pick-up has been occurring. Most of you should have your new trash containers but even if you haven't have received the new container the “Once a Week” pick-up will still start on July 6th. Concerning trash containers … everyone will initially get a 65 gallon green container. For those wanting either a 35 or 45 gallon container you can call DC Sanitation @ 404-294-2900 and put you name on the list to receive the size container you requested when it comes in stock. These containers are estimated to be in stock sometime this fall. When these containers do come in stock, DC will deliver the new container to your home and pick up the 65 gallon container from you. For those of you wanting 95 gallon green container or a 65 gallon blue recycle container you will have to wait until after OCT 1, 2015 to put your name on the list to get one … call the same Ph number as above. For each of these two containers there will be a one time $15 charge. A quick note on placement of any of these containers at the curb … there is a silver horizontal bar on the front of the container and this bar should be facing the street when the container is placed at the curb. 3. Government 101 Class of 2015 … Applications for this highly popular class are now being accepted. It is an 8 week course held on Tuesday evening at City Hall from 6 - 8 PM . The classes start on JUL 7 and conclude on AUG 24. To sign up go to … Government 101 Sign-Up NOW OPEN! The class is designed to enhance residents’ understanding of city government and services. Experience and discover how the city works and what is being done to make the City of Dunwoody a great place to live. 4. Dunwoody's Bi-Annual Household Hazardous Waste Recycling … This popular event will take place on JUL 26, 2015 at the Georgia Perimeter College, Parking Lot 11 off Womack Rd from 1 - 4 PM … rain or shine. Since this is a cost item for the city only Dunwoody residents will be allowed to drop items off. For items that are and are not accepted go to our city website … dunwoodyga.gov … and under the “For Residents” tab click on the “City Calendar” tab. 5. Dunwoody”s Independence Day Parade … This annual premier event - which is the largest July 4th Parade in Georgia - will kick off from it usual starting point at All Saints Catholic Church / Sprouts Market at 9 AM on Saturday July 4th. The entire parade route will be open so get there early to get yourself a prime viewing location. If you keep a sharp lookout I bet you will see me in the parade. JUN 30th … 6 PM … Comprehensive Land Use Plan (CLUP) Community Open House at City Hall … This is one of the last CLUP meetings so come with your inputs. JUL 2nd … 6 PM … Zoning Board of Appeals Meeting at City Hall. JUL 9th … 7:45 AM … Sustainability Committee Meeting at City Hall. 7. That is all from here for today. Please pass this on to all your friends, neighbors, members of your HOA or anyone else you think maybe interested. If anyone would like to be added to my email list please let me know and I will make that happen. Thanks for your continued support and remember that each of us have a stake in our City and we are all neighbors so lets treat each other with respect and kindness. If you haven’t visited our new city website I recommend you give it a try at dunwoodyga.gov. Have a great day! Dunwoody Food Truck Thursday at Brook Run Park features City Beat, an 8 piece wedding band playing all the crowd favorites. 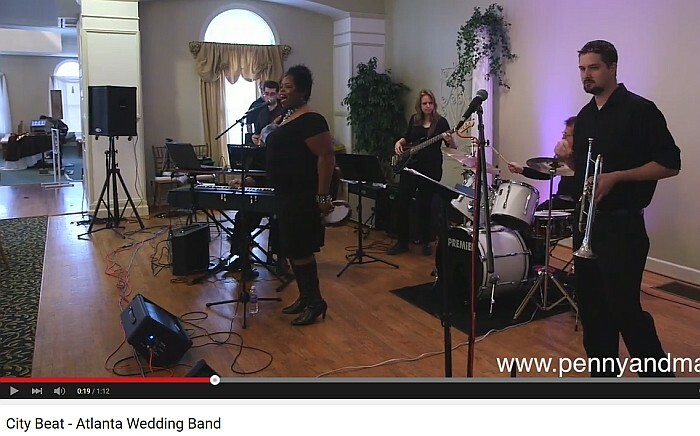 Brave the heat and come out to see City Beat, an eight piece band playing crowd favorites. Live music starts after 6 and goes until 9. Become an active part of your local government by sharing your thoughts and ideas at the District 1 - Citizen Connection Meeting! This is a FREE event. This is your chance to meet the District 1 Representatives, Denny Shortal and Terry Nall, and engage in authentic conversation focused on important community issues and topics selected by Dunwoody residents. The entire community is invited to join the Dunwoody UMC Chancel Choir as we commemorate our country's history in music in honor of Independence Day and the 150th anniversary of the end of the Civil War. Featuring works by Stephen Foster arranged by Robert Shaw and Alice Parker, as well as African-American spirituals and numerous fun classics. Appearances by guitarist John Huston, mandolin player David Michael Smith, banjo player Greg Earnest, and the church's own Wandering Shepherds. Sunday, June 28 – 4 p.m. Afterward, join us for an indoor picnic catered by The Varsity and including music by the Wandering Shepherds. YOU MUST REGISTER FOR THE PICNIC. Please visit http://bit.ly/1FibEh6 by June 25. No registration necessary for the concert. Georgia's preeminent tax appraisal attorney Walter Hotz is available to appeal your DeKalb County property value assessment. I discovered that tax attorney Walter Hotz will be the main technical expert giving the seminar on how to appeal your DeKalb County property value assessment at Dunwoody City Hall on July 1st at 7 pm. Besides the free advice that will be shared by Walter Hotz on July 1st at Dunwoody City Hall, I wanted to make those who had large valuation increases aware that Mr. Hotz has a specialty law practice doing nothing but tax appeals. The deadline is fast approaching as mine is July 20th and based on his website Mr. Hotz will file the tax appeal for a $350 fee plus a contingency on the first years savings. You have 45 days after the date of your Annual Notice of Assessment (not 45 days from the day you receive it) to file an appeal to the Board of Tax Assessors. Your Annual Notice of Assessment will provide you with instructions on how to file your appeal. If you have not already received your Annual Notice of Assessment, be diligent in looking for it to come in the mail because if you miss the 45 day window - you're stuck and your right to appeal will be lost. 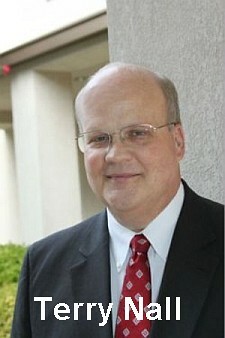 Walter has been a lead national trial litigator for more than 20 years for some of the world’s largest companies (including GE and other worldwide companies and for billion dollar plus financial institutions); Since 2007, Walter’s legal practice has been solely focused on representing clients regarding their property tax assessments. 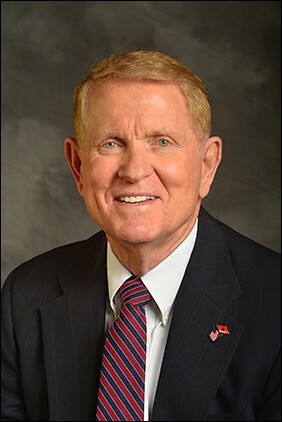 He has been successful at every level in negotiating settlements, in representation before the Boards of Equalization, Hearing Officers, and in Superior Court. I have no ties to Mr. Hotz, in fact I have never met the man nor heard his name before today but in talking to Senator Fran Millar I was informed that there was no one in the state more knowledgeable on the subject as he was the man who helped draft the overhaul of the Ad Valorem Taxation, Assessment and Appeal System – HB 202 and after reading his website FAQ's and related newspaper clips I felt satisfied that some residents of Dunwoody could benefit from his services. Our community's next Town Hall meeting is this Thursday, June 25 at 7:00-9:00pm at Dunwoody Nature Center (5343 Roberts Dr.). Councilman Denny Shortal and I are the hosts. We hope to see you Thursday! On June 22, City Council adopted the millage rate of 2.74, which is the same annual millage rate for each year since our city incorporated. Homestead owners receive a statutory one mil credit against this rate for a net millage rate of 1.74. Dunwoody remains at the lowest millage rate in DeKalb County. Our city property tax digest is not quite back to 2008 city incorporation levels, but when it does exceed it (perhaps this next year?) I will support a property tax reduction initiative. City Council will soon set legislative priorities for 2016 General Assembly. I've recommended a city charter change that would allow City Council to increase the residential homestead credit beyond our statutory one mil. I look forward to that discussion with my Council colleagues. In my prior Update, I listed the streets representing 8 miles of repaving underway this summer, as well as the water main pipe and paving on Mt. Vernon Rd. I wanted to let you know a similar water main pipe replacement, sidewalk, and paving project is current in the bid process for Chamblee-Dunwoody Rd. between Roberts Dr. and Cambridge Dr. The bids will come to City Council for review in July and if approved, construction could begin by the end of August. The project would continue into 2016. At our June 22 meeting, City Council instructed staff to disable the lightning detection alert system at Brook Run Park and Dunwoody Park. We found the horns were going off regularly, which proved to be an excessive noise nuisance for the neighbors and seemed to be ignored by park goers. Staff is researching what additional adjustments could be made to these systems to make them beneficial without creating a noise nuisance for the neighbors. In the interim, please pay close attention to weather conditions. The tornado siren at both parks are unaffected by this change. 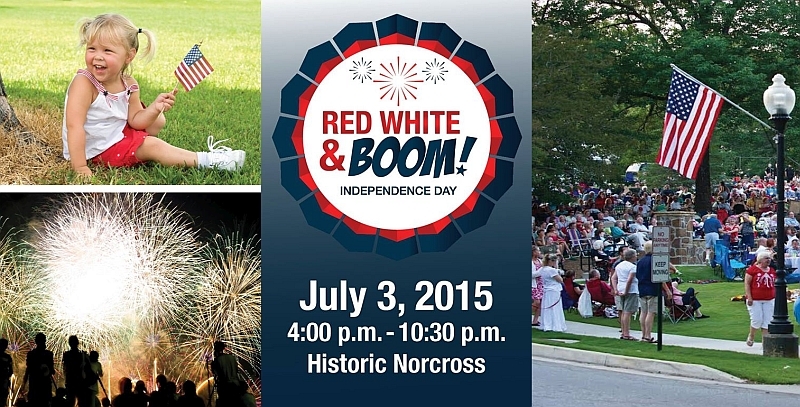 The largest Independence Day parade is right here in Dunwoody. The parade steps off at All Saints Church on July 4 at 9:00 am and proceeds down Mt. Vernon Rd. to Dunwoody Village. 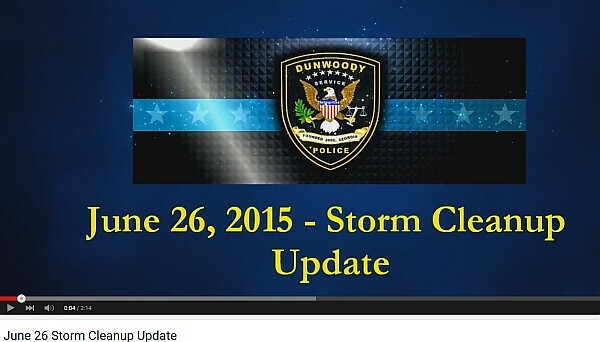 A special shout-out goes to Dunwoody Public Works for planning the Mt. Vernon Rd. water main pipe replacement project to keep the roadway passable. The department is also trimming the right of way overgrowth and weeds to make the parade route attractive for residents and visitors. Thanks go to Dunwoody Homeowners Association (DHA) and the host of volunteers for making this event possible for A Better Dunwoody! The county began distributing the large rolling cans in mid-June. The county's goal is to have all rolling cans distributed and begin with the one-day-per-week pickup schedule on July 6. Even if you have not received a rolling can by July 6, your once-a-week pick-up schedule begins that week nonetheless. 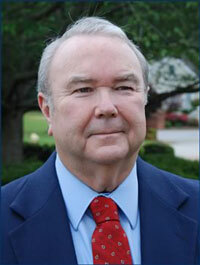 In 2011, I was elected to Dunwoody City Council as an At-Large member. I appreciate the support and confidence of this community over the past several years. At our June 22 City Council meeting, I announced that I plan to seek re-election to a second term on November 3. If on that day, Dunwoody citizens ask me to return for another four years, it will be an honor to continue serving the greatest city on earth. 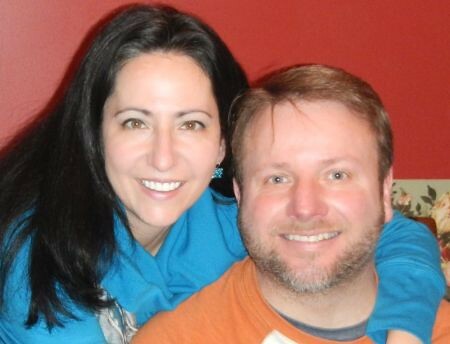 How To Appeal Your DeKalb County Property Value Assessment by Stan & Nancy Jester who are also hosting a Dunwoody public meeting on July 1st. DeKalb County School Commissioner Nancy Jester will be hosting a public meeting on Wednesday July 1st at Dunwoody City Hall to discuss the procedure for appealing your property value assessment. I am guessing that she will be joined by her husband and DeKalb County School Board Member Stan Jester as he posted instructions on the appeal process on his FactChecker Stan Jester blog. Rising property values have created a windfall in tax collections. School tax assessments are based on the full appraised value and are not subject to the assessment freeze that limits the value upon which the county and cities can levy taxes. So, any increase in your assessed value will translate into increased school taxes but may or may not increase your county/city government taxes. In addition to feeling the full effect of rising property values through school tax collection, DeKalb has the 2nd highest millage rate in the state at 23.98 mills. Georgia law requires that all personal property be appraised annually at its fair market value. The DeKalb County Property Appraisal Department has an automated computer system appraising property values. When you receive the Annual Assessment Notice, if you do not agree with the Current Year Value, you have 45 days to appeal. Appeal of Assessment Form. Approach this clinically and understand how the county values your property. Do your homework and collect documentation. Understand how the process works and what to expect in your 15 minute BOE hearing. This should be a relatively painless exercise. 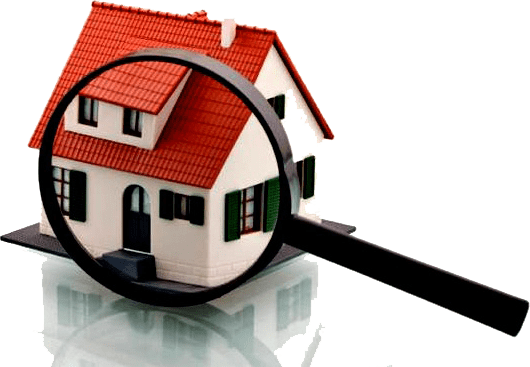 Go to DeKalb County Property Search and check the accuracy of information the County has about your home. The “Digest Year” is the year you received the Assessment Notice, 2015 in this case. The Appraisal Year is Jan 1st thru Dec 31st for the year your house is being appraised, 2014 in this case. When talking about Property Value, that includes the value of your home. Property owners may appeal based on Uniformity and/or Valuation. Valuation uses the purchase price of similar homes sold during the Appraisal Year. Square footage of the house and lot size as well as the number of bedrooms and bathrooms are the key. Foreclosed homes are valid comps, but the assessors often neglect to include them in the comps. Your property will be compared to 3 recent “resales” in your area known as Comps. Use Zillow.com to find the comps in your area that sold during the Appraisal Year. Selecting “Recently Sold” will display a yellow dot for all the recently sold houses around you. Be sure to only use homes sold during the Appraisal Year. Uniformity compares the assessed value of the property to the assessed value of other properties in the same neighborhood. Calculate the price per square foot for all the houses around you in your neighborhood. Get the average and compare that to the price per square foot of your house. Note the lot size could affect the final assessed value. Write a letter explaining why you are appealing your appraisal. Like a court case, include exhibits with facts, figures and pictures. Label the exhibits and refer to them in your letter. The more documentation you have the better. Property Owner Comments: Declare what you believe is the fair market value of your property and a short summary why. Owner Declared Value: Take this question seriously and do some research before answering. In your BOE hearing you will be asked how you arrived at that number. By virtue of filing an appeal you will receive a 15% reduction of the appraised value automatically. The Board of Assessments (BOA) will acknowledge receipt of the appeal by mail. Eventually, the Staff Appraiser reviews the property value and any owner concerns mentioned in the letter of appeal. The BOA reviews the appeal, renders a decision, and notifies the property owner in writing within 180 days. When you receive the decision from the BOA, you are given the option to agree or refer the appeal to the Board Of Equalization (BOE). If you agree, that value will be valid for one year and the process stops here. You can disagree and select to take it to the BOE. When you get the BOE hearing notice with the hearing date, call the BOA and ask for the Residential Sales Comparables Inventory and Account Value Summary they used to appraise your property. This document will be the basis for the BOA’s case. At the BOE hearing, ask to hear the BOA case first. Take notes and address each item they present. Make 5 copies of all the documentation you have. When it’s time to present your case, distribute them to the interested parties. This shows them you are prepared, organized, have done your diligence, and have approached this in an objective manner. Walk them through the differences in the properties and the costs that would be required to get your property up to the value of the comps provided by the BOA. Once you have finished, if they believe you have made a case they may begin to negotiate with you on a compromised value. Or they may thank you and inform you that you will receive a letter with their decision within “X” weeks. If the latter is the case, you can ask to stay for their deliberation so that you can hear their thoughts. However, you cannot speak during this time. They will discuss their thoughts and advise the County’s Appraiser of their decision which will then be officially provided to you via mail. If you take it to the BOE, the property value that comes out of that proceeding will last for 3 years. It doesn’t hurt to take whatever decision to the BOE, most of the time it will be the same or less than what the BOA came back with and it will be good for 3 years. If it goes to the BOE, it will be a year before everything is said and done. The final assessed value will be retroactive to the Digest Year. Dunwoody City Council Agenda for Monday June 22nd. Administer Oath of Office to Officer Roger Halstead. 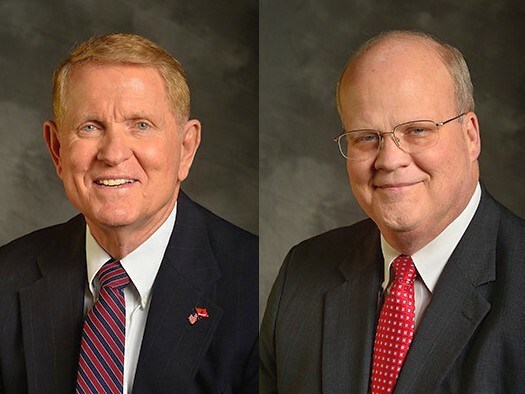 Resolution Appointing Members to Serve on the Board of Ethics. SECOND READ: Ordinance Amendment to the City of Dunwoody City Code Chapter 27 toChange the Classification of Massage Activities. SECOND READ: Ordinance to Adopt 2015 Millage Rate. Discussion of Weather Alert Policy.